It certainly helps that most of the Crying Tiger steaks I've encountered have featured either skirt or flank steak—two of my favorite cuts. 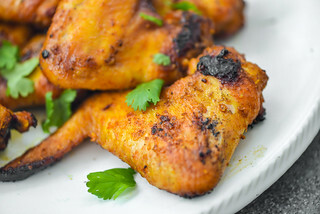 While those cuts are so heavily beefy they hardly need any additional help past salt and pepper, this recipe adds a boost of savoriness by way of a marinade made up of soy sauce, oyster sauce, palm sugar, and oil. The proportion of marinade in this recipe doesn't look like enough to handle a couple pounds of steak, but it's pretty powerful stuff. Just a few hours rest in the sauce is sufficient to give the steak an enhanced salty and savory quality, although you can let it marinade overnight as well. While the steak is a big attraction, it's the sauce that seals the deal. The sauce is called jaew and it's distinctive feature is being made of dried chilis. 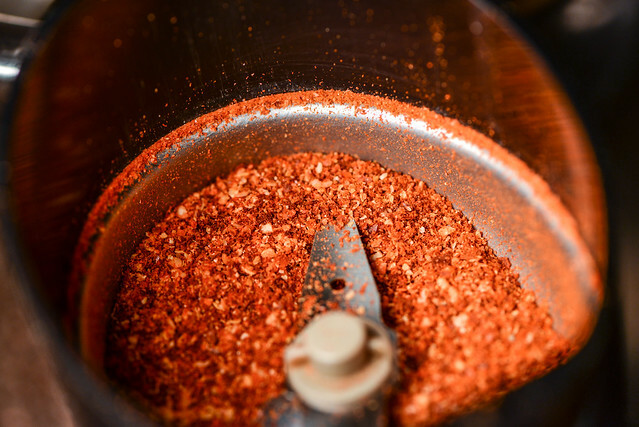 The best versions of this sauce I've had were incredibly spicy, which led me to start it off with fiery arbol chilies that I ground in a spice grinder. Then I whisked together a fairly ubiquitously Thai set of ingredients—fish sauce, lime juice, cilantro, shallots, scallions, and palm sugar—to form the base of the sauce. Next I added in the ground chilies until it was a tad less spicy than I wanted, knowing the heat would increase as it sat. Finally, I added in a teaspoon of roasted rice powder, which gave the sauce its distinct nutty, toasted flavor. 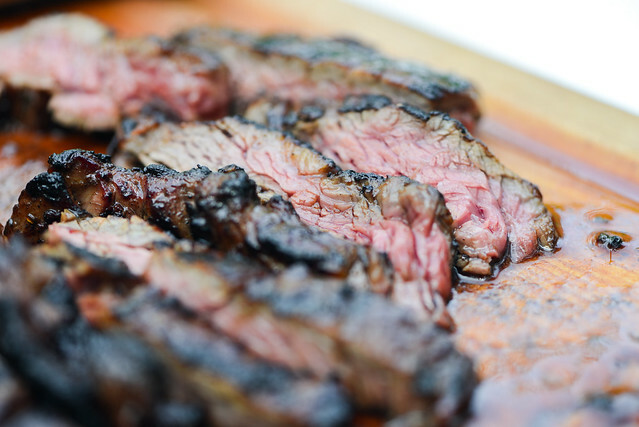 With the sauce ready and steak marinated, it was off to grill to do something I'm well versed in—grilling skirt steak. Skirt is easily my favorite cut, but it has to be done right to get the insanely delicious end product I love. A blazing hot fire of fresh lit coals is almost a must to achieve the well browned exterior paired with the desired medium-rare doneness. Then after letting the steak rest, it must be cut against the grain into fairly thin strips. Because skirt has long muscle fibers, slicing it in this manner shortens those fibers, rendering it tender rather than chewy. And when you pair this beefy, tender steak with the powerhouse sauce that is jaew, it combines into a truly marvelous thing. 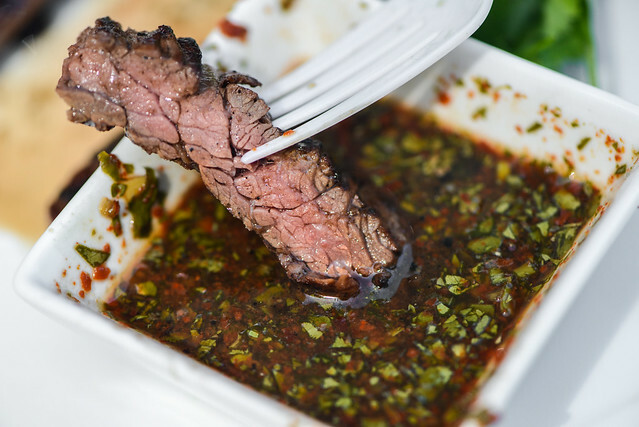 The sauce adds an acidity, heat, and savoriness that enhances the steak so well by deepening and freshening its flavor while adding spiciness that matches, but doesn't totally overwhelm the steak's own richness. I feel like one taste of this and you'll understand why it's good to venture off the usuals on a Thai menu and into specialities territory, at least every now and then. The best thing about this recipe though is that it's so simple and quick to make, it's become more of a home cooked, rather than order out, item for me—I've made it three times in the last couple months alone. 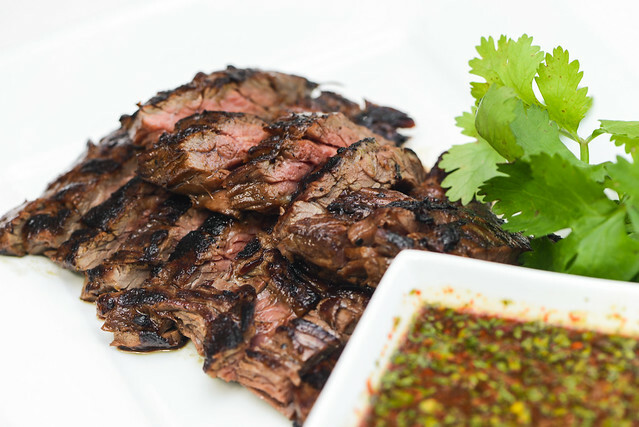 Beefy skirt steak is paired with a savory and spicy sauce to create one powerhouse of a dish in this Thai speciality. 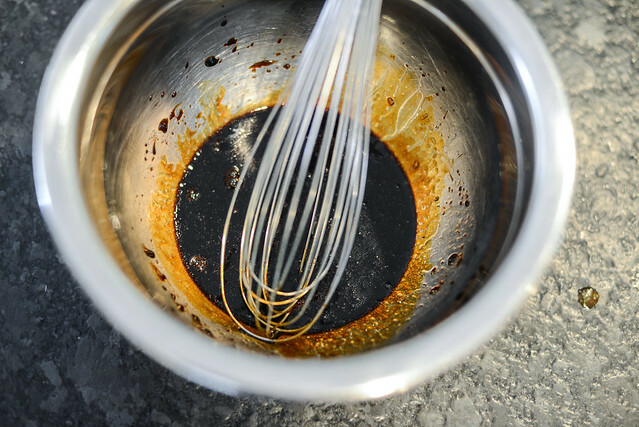 To make the steak: Whisk together dark soy sauce, oyster sauce, sugar, and oil in a small bowl. Place steak in a large resealable plastic bag and pour in marinade. 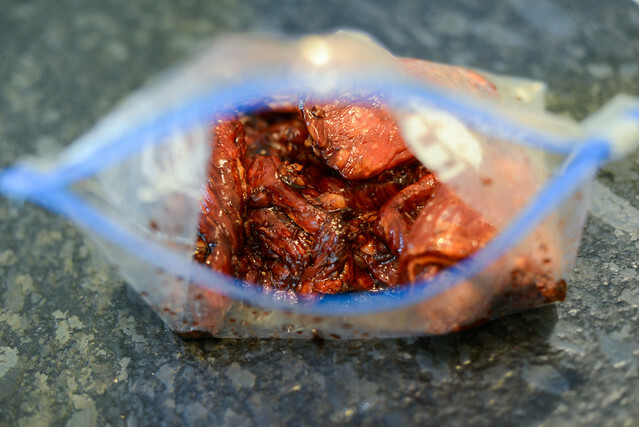 Seal bag, removing as much air as possible, and place in refrigerator and let marinate 4 hours to overnight. 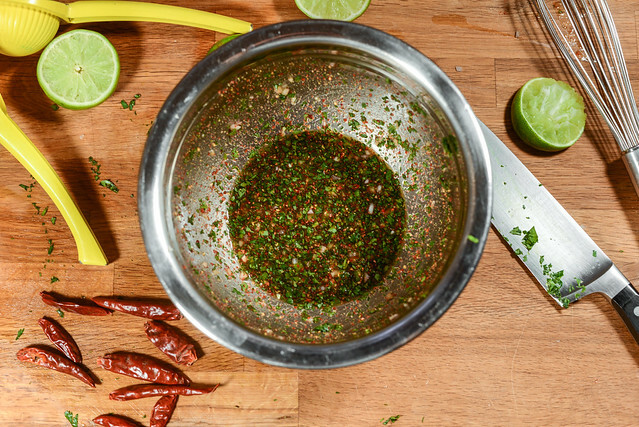 To make the sauce: Whisk together fish sauce, lime juice, cilantro, shallots, scallions, pepper powder, sugar, and rice powder. Set aside. Light one chimney full of charcoal. 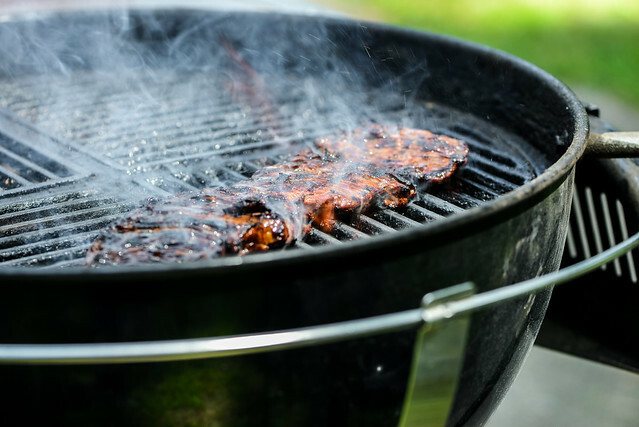 When all the charcoal is lit and covered with gray ash, pour out and spread the coals evenly over entire surface of coal grate. Set cooking grate in place, cover grill and allow to preheat for 5 minutes. Clean and oil the grilling grate. Grill steak over high heat until deeply browned on both sides, 3 to 5 minutes per side. Remove to a cutting board and let rest for 10 minutes. Slice steak into 1/2-inch strips against the grain. Transfer to a serving platter and serve immediately with sauce. Made this last night. It's a great recipe! I tossed the sauce with some shredded cabbage, and made tacos with it all. Awesome. Thanks for another great recipe. This is not Thai food. It is Lao food being served in Thai restaurant. The word "jaew"is also Lao. In Thai they call chili sauces "nam prik" your recipe is on the dot though so you did a great job! If you ever attend any festival at a Laotian temple it is likely someone would be serving these. You wouldn't see it being served at a Thai temple as it is not their regular menu item. Enjoy! Steak marinade? Really good. Dipping sauce? Not so much. Way too salty. Probably needs more sugar or water - or both. Sunny, we used to make and serve this at a Thai restaurant I worked at while in college in Atlanta. Nua Yang Nam Pla Prik. It was my FAVORITE by a mile. Well, that and Nua Nam Tok. 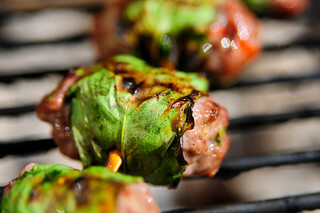 Can%u2019t wait to make this recipe. 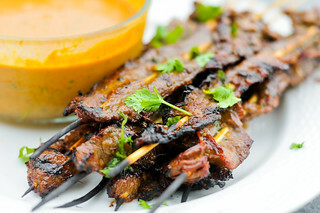 Made this recipe and it was the best among 6 that I tried meat marinade was perfect and the sauce was great. I just added more chili flakes since my children want it spicier.